Short winter days can still be long on RV fun with the proper preparation and planning. 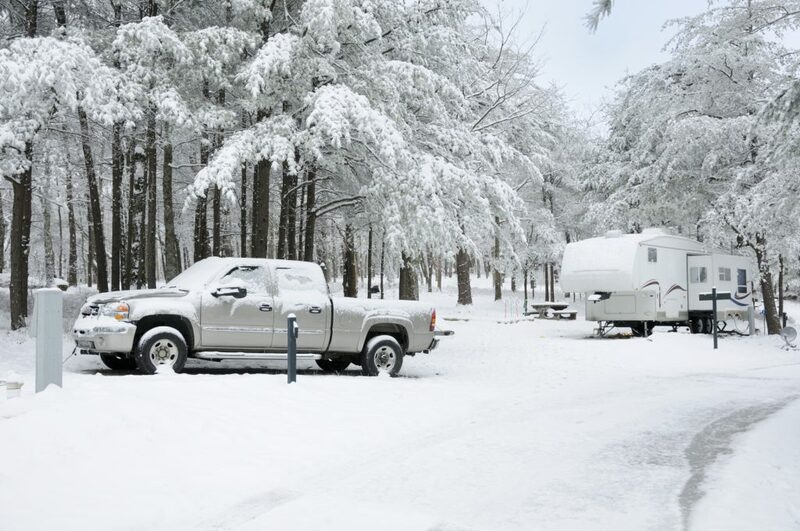 Winter can be a great time to enjoy RVing, minus the big crowds, bugs, and peak season prices. While wintery weather may close some campsites, others remain open and welcoming to hearty souls eager to enjoy some quiet time on a winter camping trip. Many RVs are built with four-season camping in mind and come equipped with enclosed, heated holding tanks, extra insulation and dual pane windows. But, even without a winter-ready RV, dedicated campers can enjoy a cold winter’s stay with a liberal application of some winter essentials. 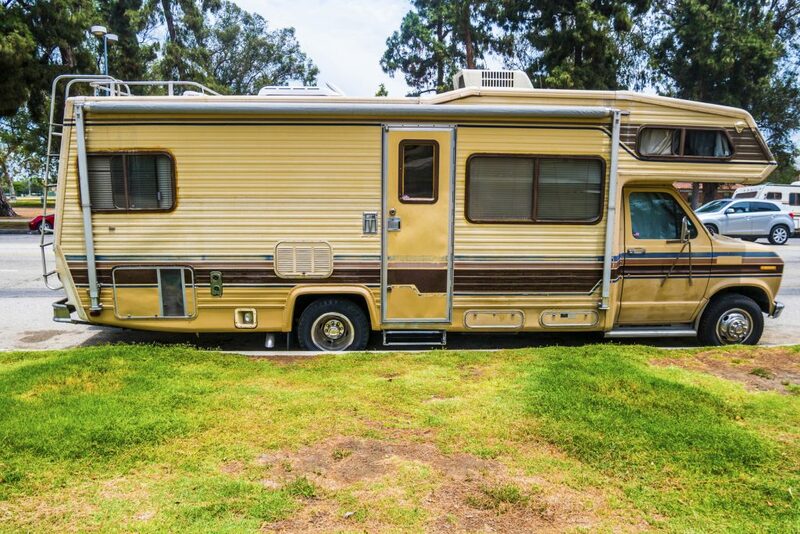 If the end of summer was too hectic to get your RV in the service center for a check-up, take advantage of the slower fall season to get your RV ready for winter camping. If your holding tanks aren’t insulated, the pre-winter checkout is the perfect time to have water and black water tank heating units installed and have seals around the windows and doors checked and re-caulked. Check weather stripping and around doors and have the unit’s heating system thoroughly vetted. Take extra precautions for trips into areas where a deep freeze is in the forecast. Drain the black and grey water tanks before heading out. Adding specially formulated RV antifreeze to the tanks can help keep plumbing running even on the coldest of camping trips. Add the manufacturer’s suggested amount of special RV antifreeze to the tanks; never use antifreeze designed for an automobile. Wrap the sewer hose with insulated tape. Choose a camping location with plenty of sunlight, where windows and doors can be positioned to maximum sunlight, while receiving protection from harsh winter winds. With the summer chairs and grills packed away, consider using that storage space for skirting to surround the underbelly of your RV. Unlike slab-built winter getaways, an RV’s lofty position allows winds and air to circulate under the living space so cold to seeps up and into the unit. Protect storage tanks underneath and toes above them with skirting to keep the winds at bay and the storage tanks and the floor beneath your feet a few degrees warmer. While hay bales may seem like a disposable and cheaper alternative, resist the temptation. Straw or hay won’t heat as well, is flammable and will attract heat-seeking rodents according to the North Dakota State University (NDSU) Agriculture Extension office. Windows, skylights and vents are great for bringing heat-generating sunshine to your RV, but are also places where the cold can seep in, thwarting your best efforts to stay warm, according to NDSU. Consider replacing your summer window coverings with insulated curtains or blinds – that can open to let the sunshine in for a few hours but provide a bulwark against cooling breezes after sundown. Make curtains of insulated, quilted or Polar Fleece fabrics and add Velcro to the sides and bottoms to seal the curtains tightly against the windows. If you have windows that aren’t critical for light and circulation, use rigid insulation to seal them off and block the cold. All outside water lines that won’t be in use – such as that outside shower or faucet for an outside kitchen, should be drained before heading out. Wrap any water lines and hoses that will be exposed to the elements in insulating tape and plan to keep your water hook up line off the ground and out of the snow when you set up. Despite the temptation, make no alterations to a factory installed heating system and be don’t use any unvented portable heating system inside an RV. Because the RV’s heating systems will be getting workout, it’s especially important to check fire alarm systems and make sure extinguishers are up to date. Take extra care with slide outs during a cold winter freeze, according to the NDSU extension. Remove snow daily so heat from the inside doesn’t create a layer of ice. Consider using rigid insulation around the slide out, making sure to drain snow and ice away from the main body of the RV. Be prepared for cold weather emergency by developing an emergency packing list. Consider adding extra propane tanks, blankets, rolls of insulating wrap and emergency lights to your usual camping supply list. 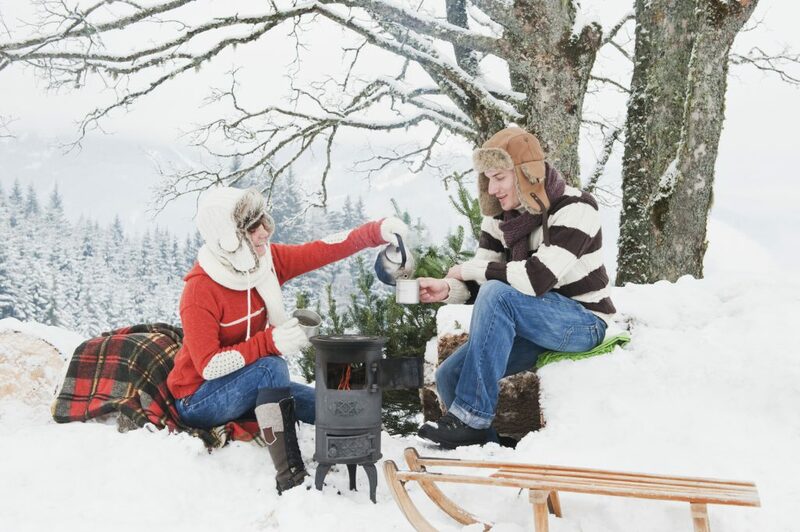 Before heading out for any winter camping trip, travel with confidence in a well-maintained unit. Schedule a service appointment for a head-to-tails check up to avoid a cold weather crisis. 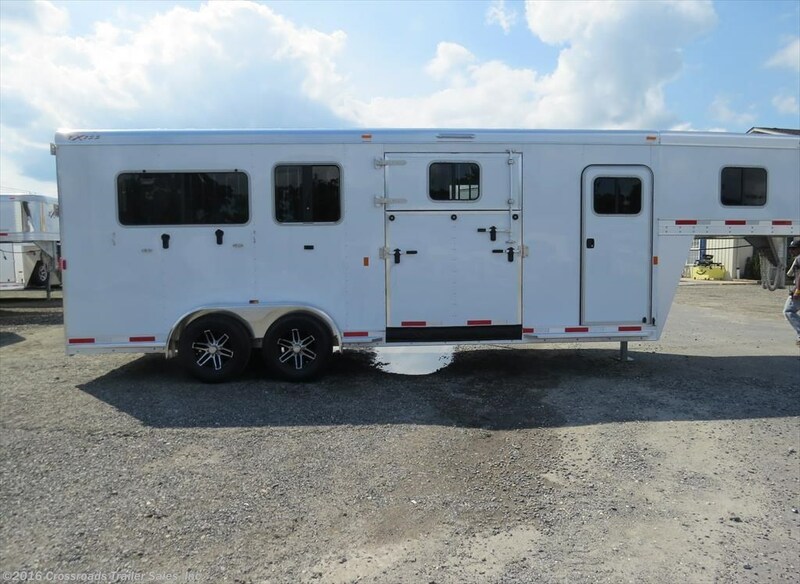 The weather-wise service professionals at Crossroads Trailer Sales in Newfield, N.J., can help make your cold weather travels safe and comfortable.